Our tap list is updated almost daily, and this is your best source to finding out what we are pouring on any particular day. ALSO, The Last Unicorn COMING FEBRUARY 7TH! 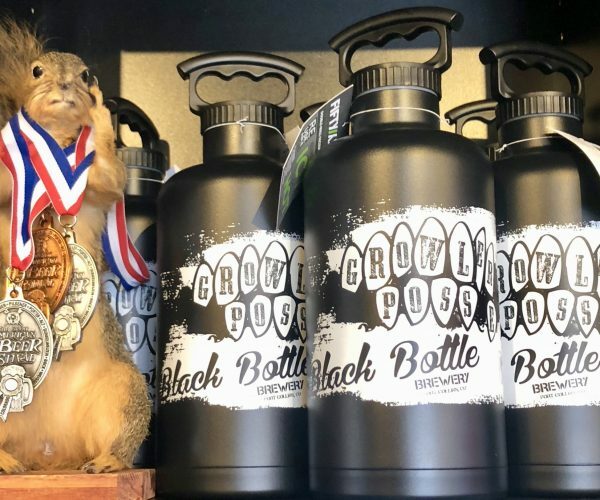 Join the Growler Posse today! The Growler Posse growler gets you 1/2 OFF fills for the life of the growler, EVERY DAY OF THE WEEK. That's right, any time and any day of the week you'll get HALF PRICE FILLS. *Limited availability* Get yours now! raft Beer Rocks! Check-out our hand made beers, made right here in Fort Collins, Colorado (The Bermuda Triangle). We have 40 different beers on-tap and offer guest taps, and we do growler fills with our beers, and tasters of all the beers on-tap. O-Ya we offer 1/2 PRICE growler fills on Wednesday's and Sunday’s! It's not all beer and games around here, we do food too! 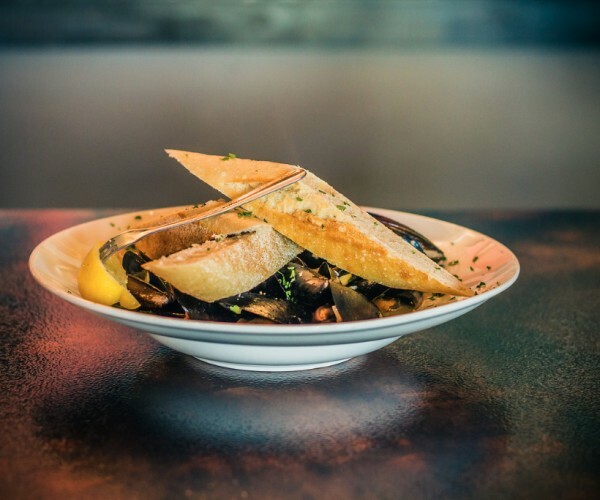 Check out our menu and come see us for a bite to eat! Black Bottle Brewery in Fort Collins, Colorado, brews radical beer and uses radical craft beer ingredients. BBB first opened its doors back in December of 2012. We are officially 5 years open now. Anyways, after home brewing beer for years Sean Nook, the founder, and brewmaster pulled a group together to make it a way of life all about Beer. Why call it Black Bottle you might ask? Cause’ calling it any other color of bottle just wouldn’t sound as cool. What Does our Craft Brewery in Fort Collins Have to Offer? Located in the heart of Midtown Fort Collins, CO. Black Bottle Brewery not only brews awesome craft beer in house, but we offer a full food menu through our brewpub. With 40 different beers on tap, we offer a wide selection of our own pride and joy, but don’t shy away from opening up our taps to our friends in the industry around the area or even around the world. 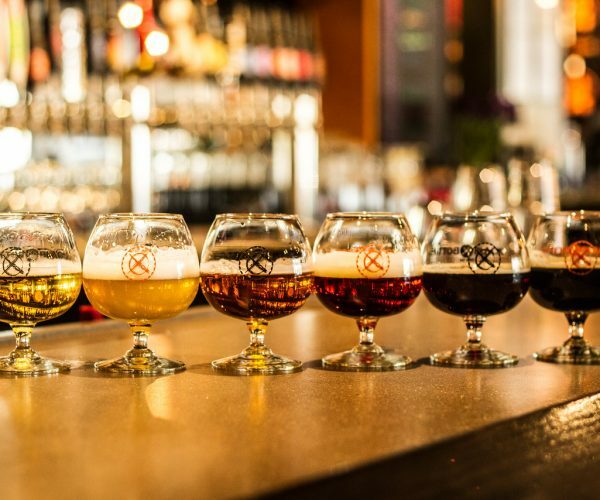 Bringing in national favorites such as; Odell, Jolly Pumpkin, Sierra Nevada, and New Belgium, to name a few, our brewery has one of the widest selections of craft beer in Fort Collins as well as wine and a full bar. On top of that, you’ll often find a few taps pouring beers from international breweries as well. In addition to those fine craft beers, our coolers are always stocked with a crazy good selection of bottled beers from all over the place. If you should you feel like kickin’ “it ol school,” you can even ask for that 40oz of OE (Old English) in a brown paper bag. We won’t judge. You won’t find a food truck here because we have a full restaurant to fill your plate. Couple any of our beers with a full menu of gourmet food, not just beer nuts. We’re the beer nuts. Where Can You Find Our Craft brewery in Fort Collins? 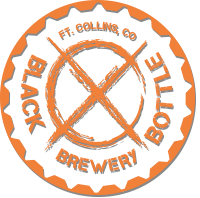 Of the many breweries in Fort Collins, Black Bottle is one of the few that offers a convenient location, easy access, and fantastic beer all in one place. If you’re looking for breweries in Fort Collins, don’t pass up Black Bottle Brewery. We promise you’ll love the beers from our craft brewery, and if you don’t, then no worries. We offer tons of great beers from our friends and neighbors in Fort Collins and around the world. Apologies in advance for all the squirrels and other taxidermy animals around the place. You’ll see what we mean when you stop by. We hope to see you in real soon! Can’t miss us we have a giant grain silo right out front. Meet the newest addition to our brewing team, Chase. Yes he looks like where's Waldo but he is cool. He has been a part of the BBB fam for a little over a year and has excelled in every area he's touched, including his recent run in the brew house. A true showing of dedication and hard work paying off. Sean, founder and brewmaster, grew up in Fort Collins and has continued to dig his roots deeper and deeper into the area over the years. Getting hitched to his high school sweetheart, Erin, 12 years ago, the two have since started a family AND a badass brewery. Tom is the head brewer at Black Bottle where we make just about every style of beer, and some that are nowhere near any style! He has brewed just about every style of beer there is, and loves all the various styles and histories of them.